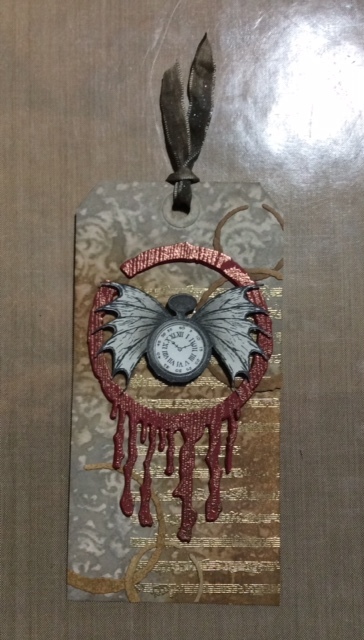 I am excited about today's project because I just love the Pocket Watch with Bat Wings stamp by Sin City Stamps. I hope this project inspires you to create something meaningful to you as well. 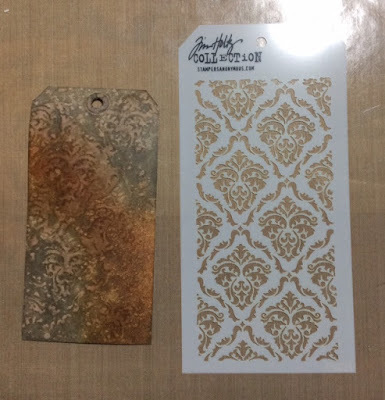 Grey and brown inks onto tag. 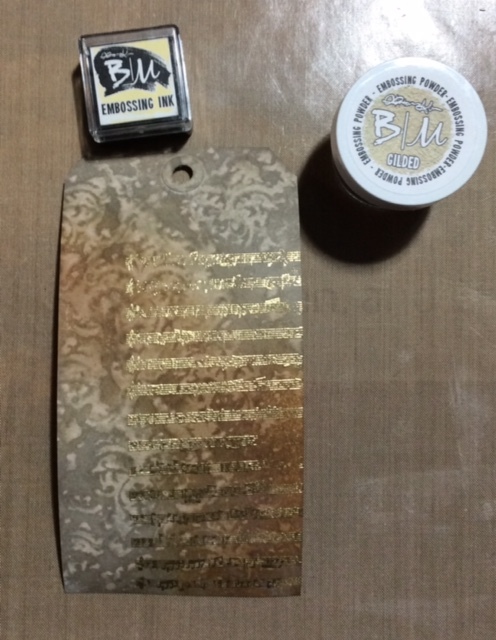 Place stencil over inked tag centering to your taste. Using a baby wipe cloth, wipe it back and forth, removing some ink- through the stencil to create a ghost effect. Emboss the music background stamp with gold. 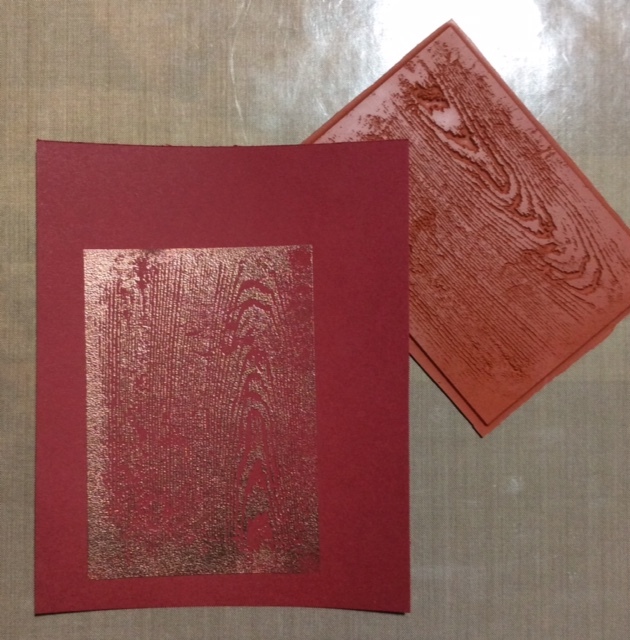 Emboss the wood grain background stamp with copper on red cardstock. Die cut the Drip Drop from the embossed red cardstock. 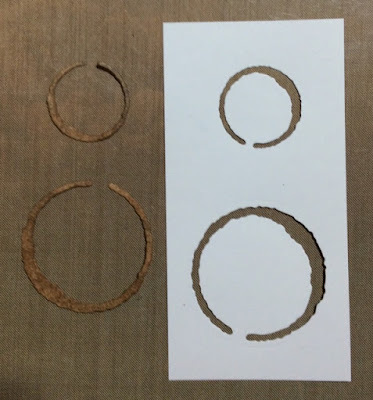 Die cut coffee rings in two sizes. 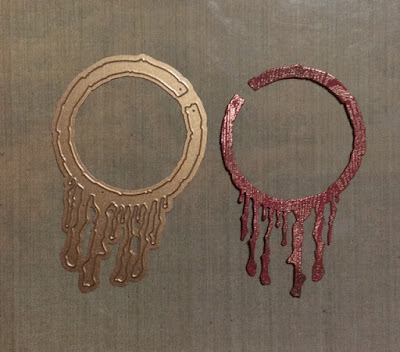 Next ink blend the rings the same colors used on the tag background. 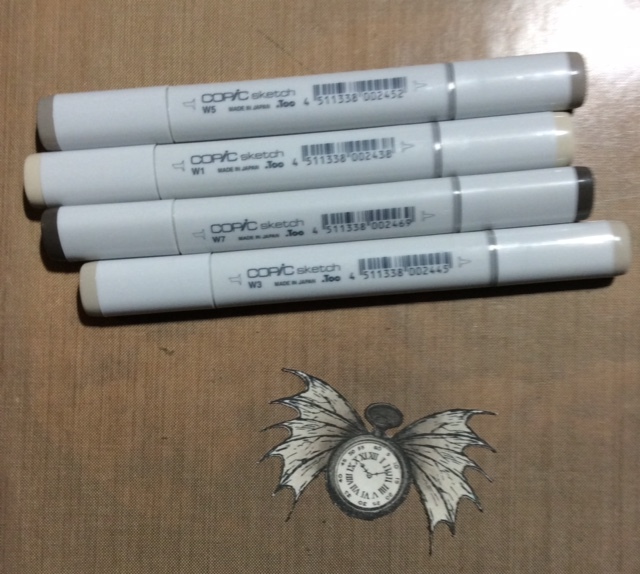 Stamp the Pocket Watch with Bat Wings onto white cardstock. Cut out the image. Using the markers, color the image. I used shades of gray. Arrange the die cuts and stamped image onto the tag. Once happy with the placement adhere pieces to the tag. I used foam tape under the Pocket Watch to give dimension. Lastly, add the crinkle ribbon to finish the tag. I hope you enjoy making this project as much as I did. Follow us on our Fan Page for more idea's! Love it! Thanks so much Adam! Those dies work really well with the stamps you picked! 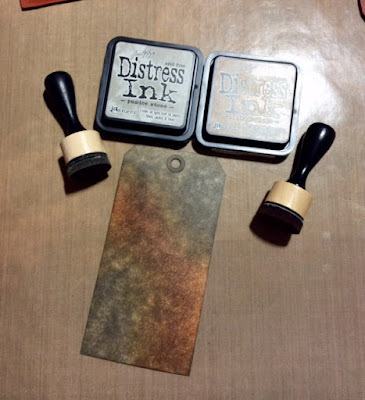 Great tag - love the background and how you have framed the stamp!